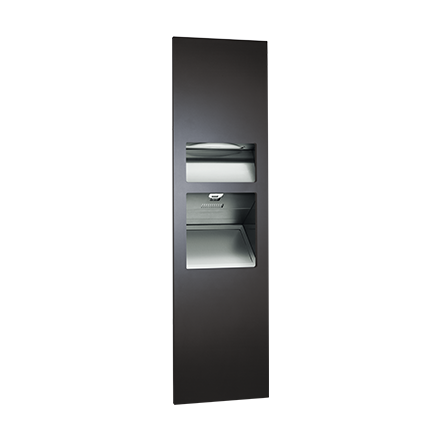 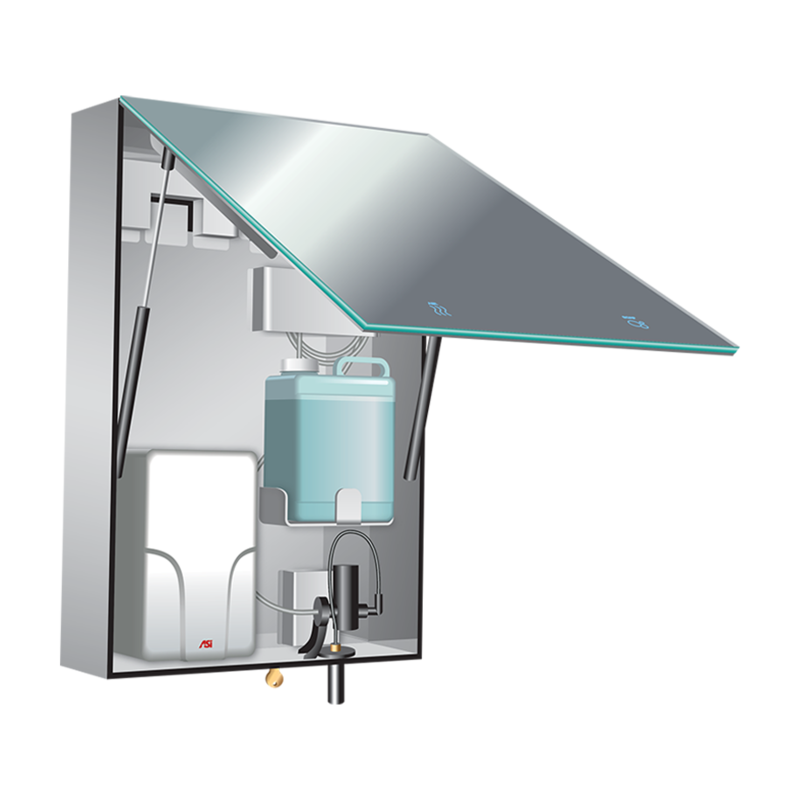 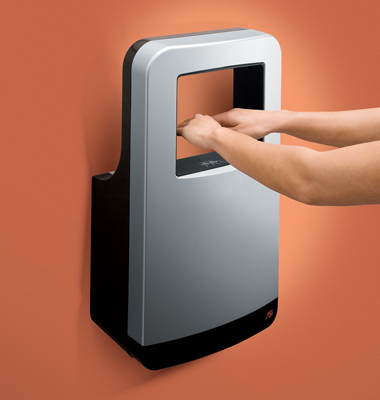 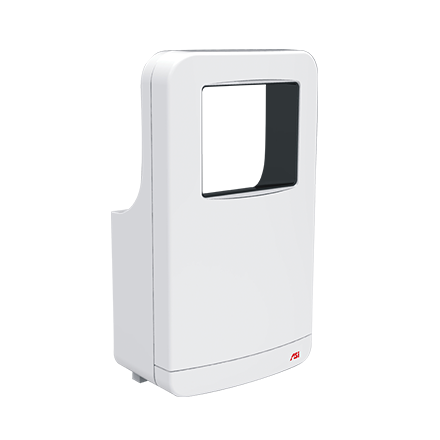 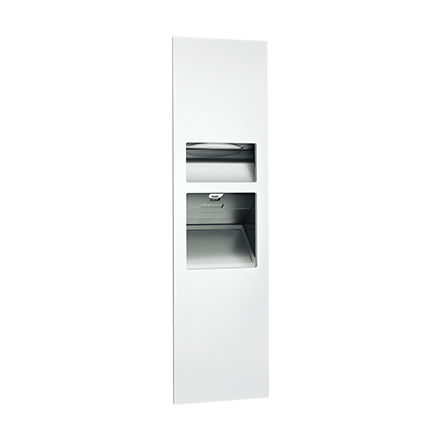 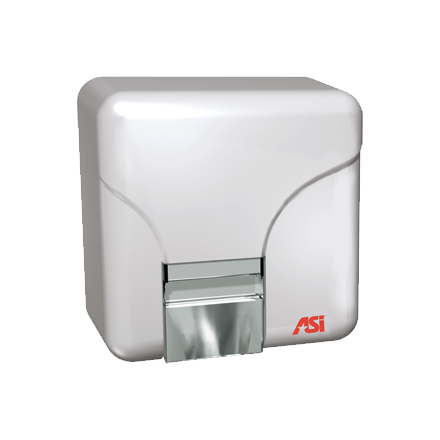 This unit is wall mounted at a comfortable height in order to permit a natural posture while drying the user‘s hands. 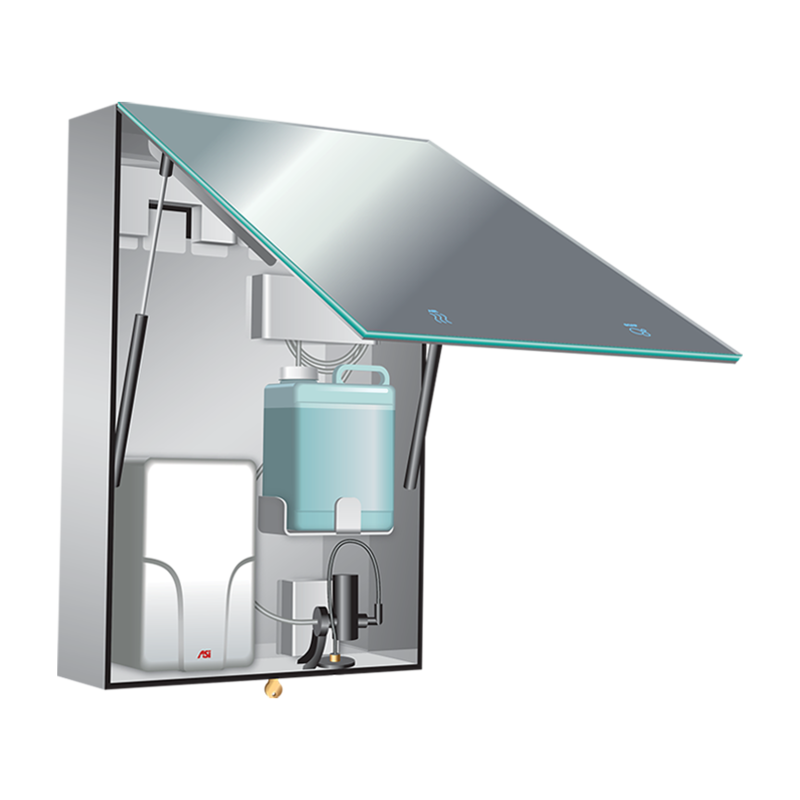 Water blown from wet hands is pushed onto an absorbent and continuously evaporating ceramic plate, with any excess water channeled into a drip tray. 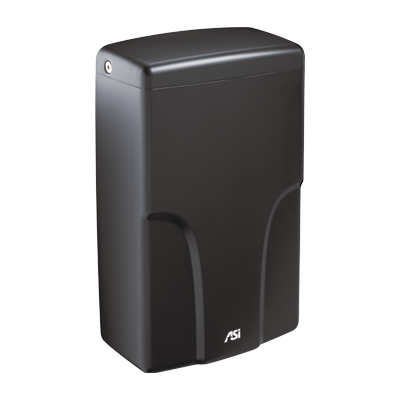 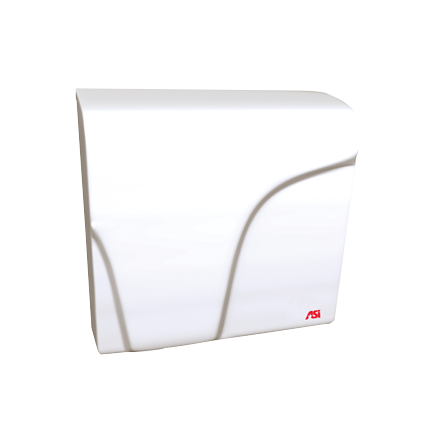 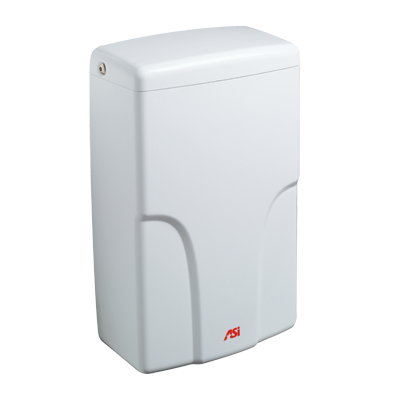 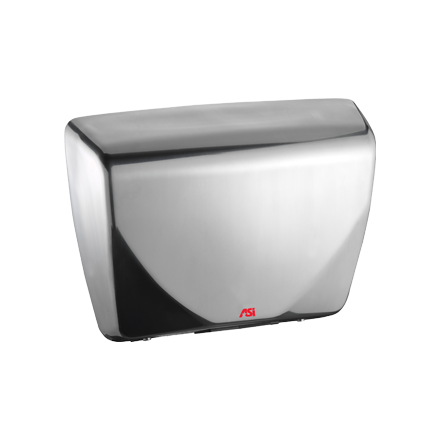 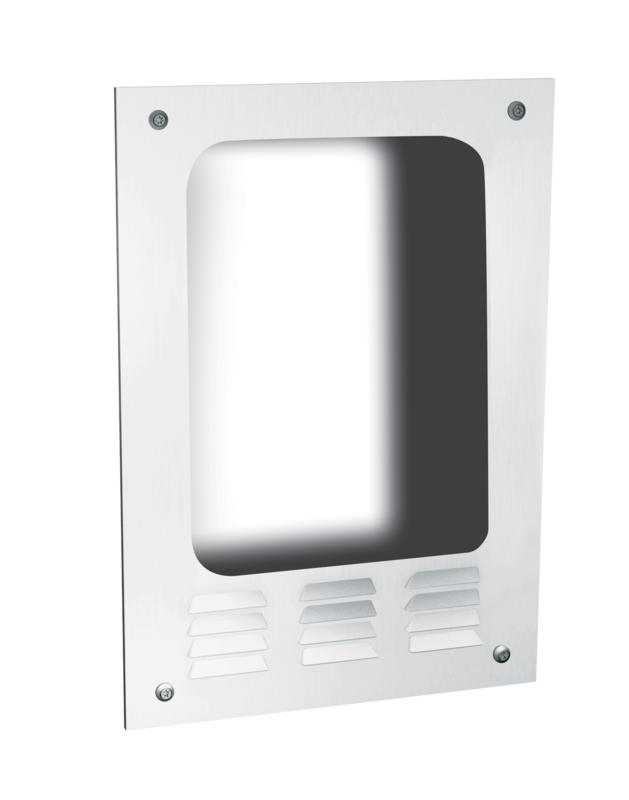 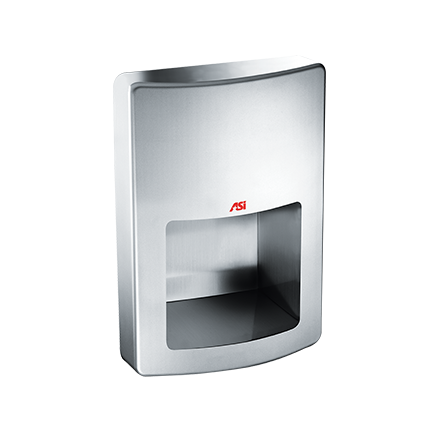 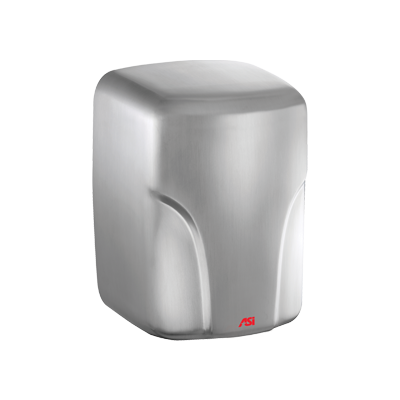 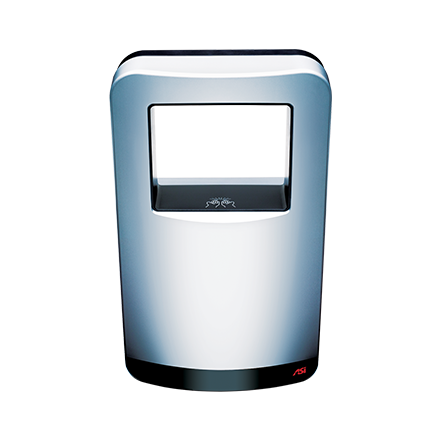 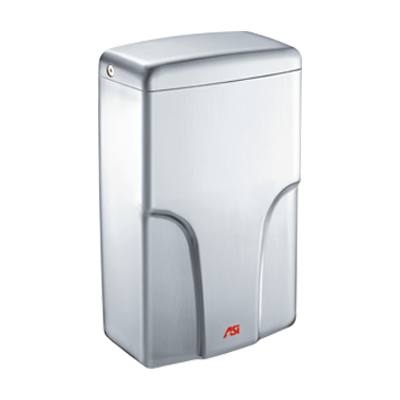 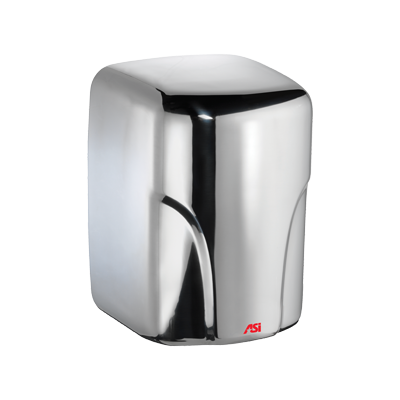 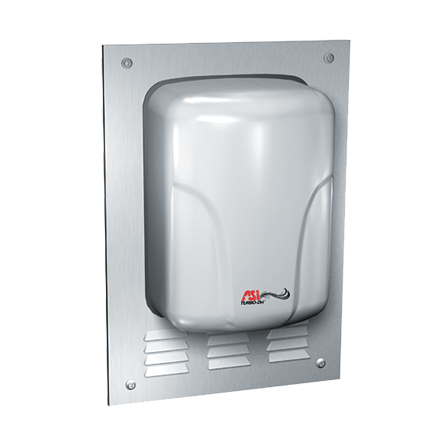 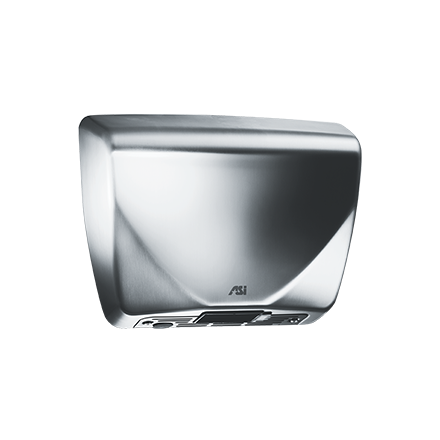 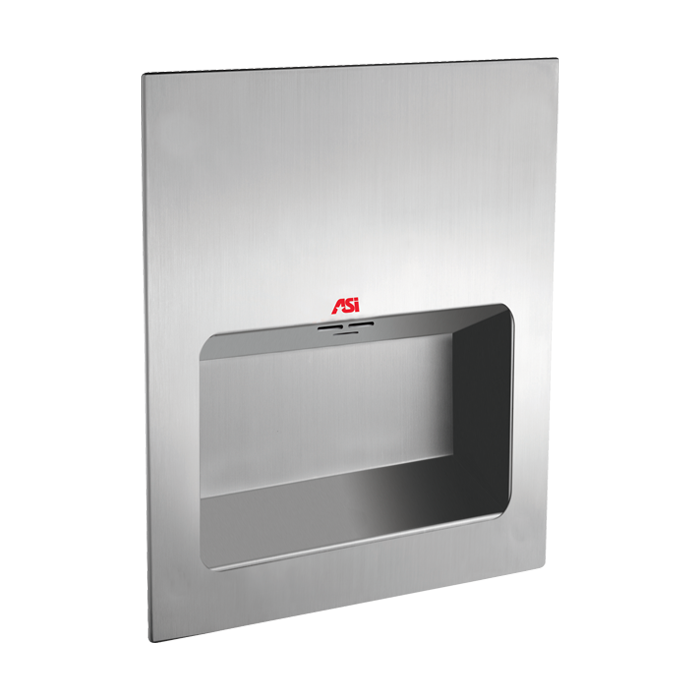 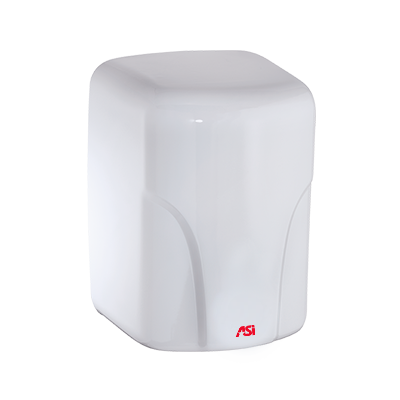 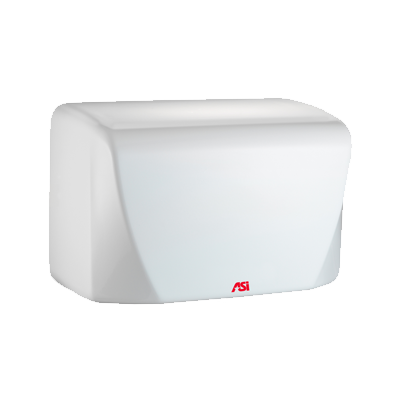 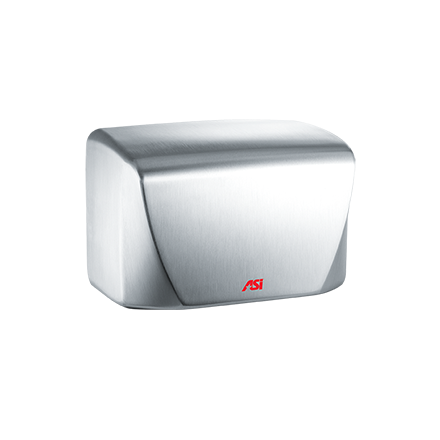 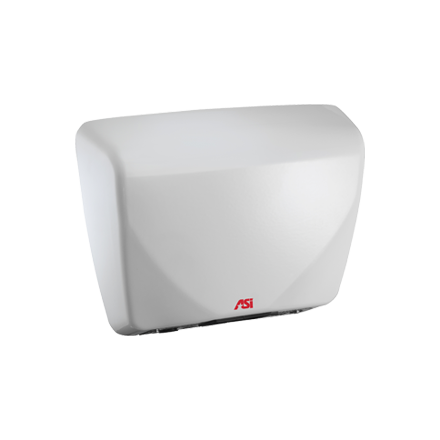 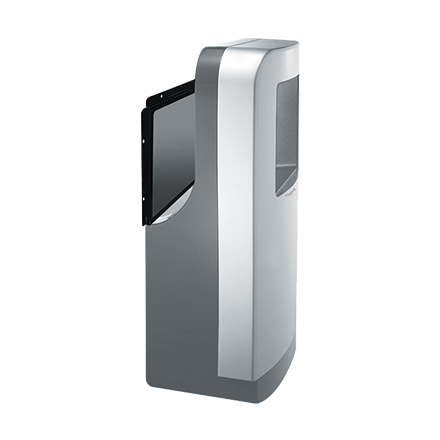 Over 99% of airborne bacteria and particles as small as 0.3 microns are eliminated with this hand dryer’s removable three-layer filter system.